We install state of the art CCTV Security Systems throughout London – giving you the best levels of service, the best protection against theft and vandalism and amazing customer service 24/7. Our team of expert engineers can help you with all types of CCTV installation throughout London – contact us today for a quote. When it comes to viewing detail, we use the latest cameras with the best technology. Currently High Definition gives us the best of quality while keeping prices competitive. CCTV needs to work at night - that is why we utilise Infra Red technology to allow us to view in the pitch black at up to 30m - the detail is amazing. View on your phone, tablet or PC. We pride ourselves on the best Customer Support in the UK. Our CCTV Systems have a 12 month warranty which includes parts and labour (onsite) - try beating that for customer care! Having a CCTV security system installed in and around your property is one of the most effective ways of making your home or business premises feel safer and more secure. 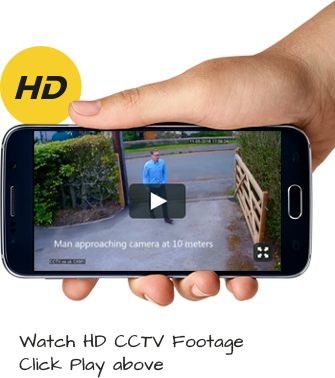 A home CCTV system enables you to remotely monitor family members that may be left alone in the house and view your property remotely from wherever you are in the world. Remote access is compatible for use with the iPhone or other device of your choice (Smartphone required – Android, iOS and Windows). All CCTV packages include, a DVR recorder, free remote access, 1-6 cameras (depending on individual requirements), free motion alerts via e-mail, 30-50 metre IR night vision, complete installation and on-site warranty. We are experts in the supply and installation of CCTV Cameras and Systems throughout London. CCTV is used extensively throughout London to prevent against crime and our team of experts work in London every day installing new CCTV Systems for clients looking to combat crime.